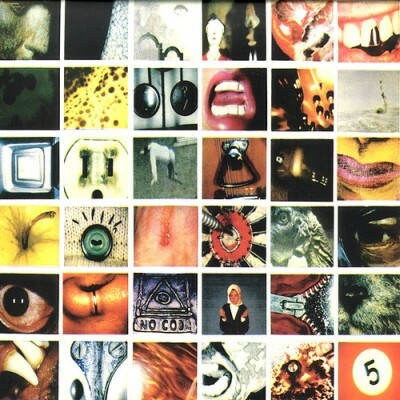 “No Code” is the fourth studio album by Pearl Jam, released on August 27, 1996. 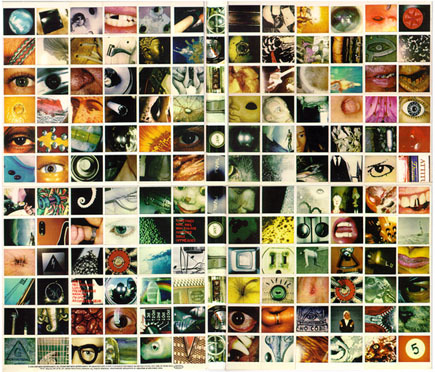 The album package consists of 144 polaroid photos that unfold into a 2×2 square, and the pictures, when viewed from afar, blend to form the No Code triangle/eyeball logo that is the theme throughout the album. One of the photos featured on the front cover is the eyeball of former Chicago Bulls player, as well as fan and friend of Pearl Jam, Dennis Rodman, while another photo is of Eddie Vedder’s foot after he had been stung by a stingray. That explains why PJ asks for 5 packs of Spectra Polaroid Film on their backstage rider.